Man, this is the way I like beaches of the deep south, burnin' hot and not crowded, with room to lay back and get comfortable. It's also nice when some friendly sea gulls come by to share your doritos. 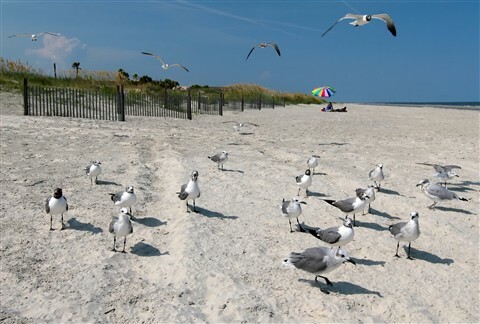 I think these gulls came from rural Glynn county, they didn't have the best manners.